Hey everyone! It's Candace from Candi O. 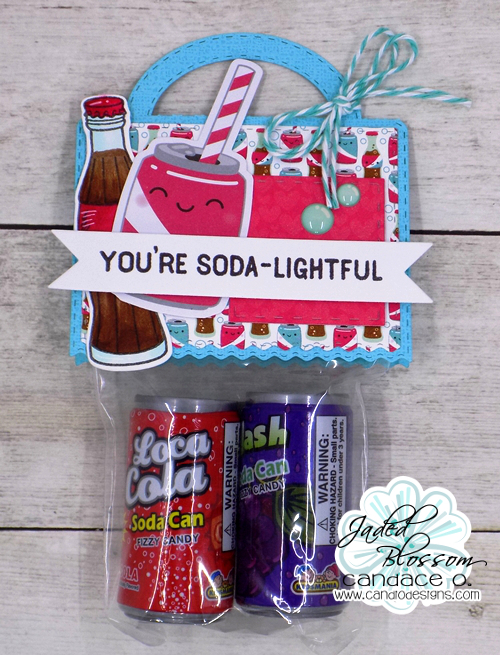 Designs and it's my day over at Jaded Blossom. 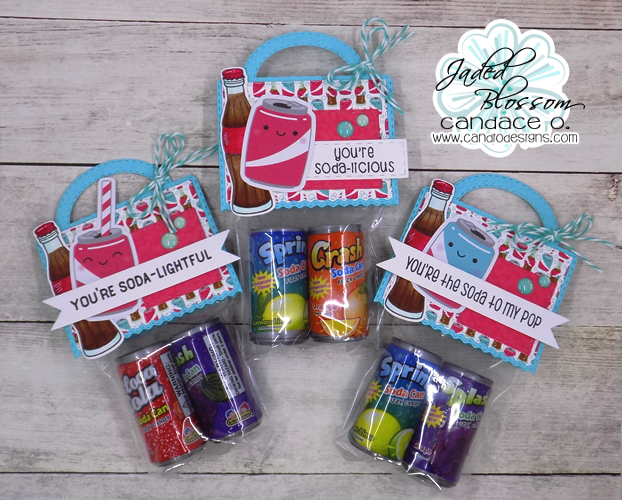 I've been wanting to create with this stamp set Soda-Lightful for awhile now and with the perfect paper by Doodlebug Designs and then I found these soda can candies, it was time to play!!! 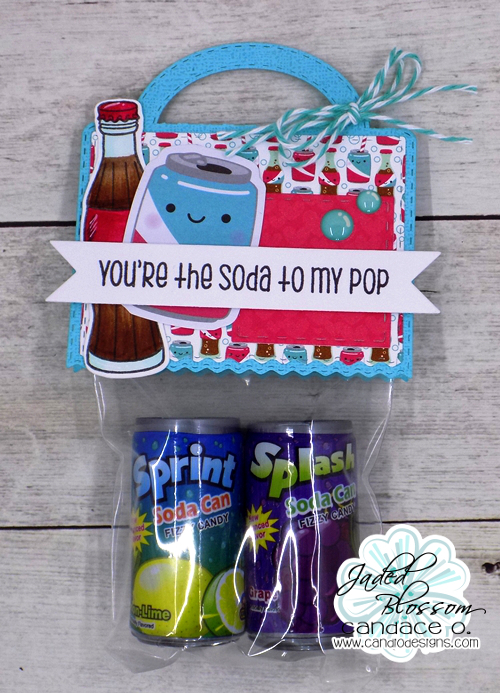 So darn adorable!!! 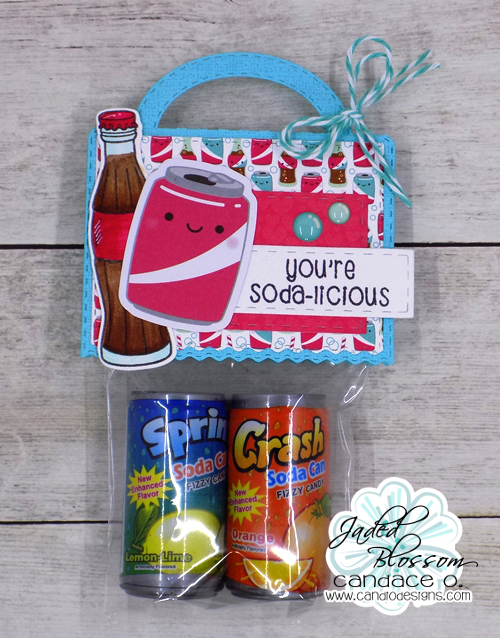 Fun treat toppers! !